See orbitsound.com for the remarkable range of spatial stereo products using Ted's patented technology. See tfpro.com for Ted's designed professional studio equipment. At the beginning of the 21st century, the listening world is dominated by modern day ‘flat-earthers’. 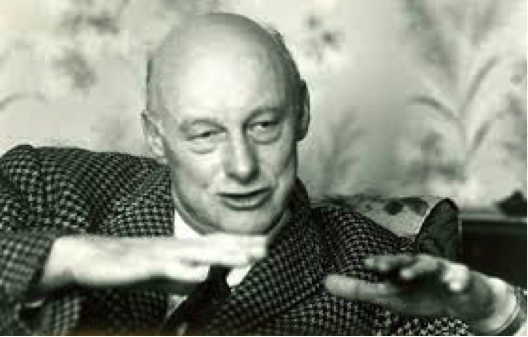 Samuel Shenton, (president of the flat earth society until his death in 1971) a branch of his family ran the leather goods shop in Holloway Road in London where the apartment above was a recording studio rented to Joe Meek! Sound, like the flat earth, is obvious and easy to understand (!) It ‘stands to reason’ that the world is flat and that as we have two ears, to hear recorded sound properly, we need two loudspeakers. This was so obvious to physicists and workers in sound technology that no-one thought to challenge the idea. Early workers in positional sound for films (including Ray Dolby) accepted the basic idea that acoustic space and direction can be reproduced accurately by two (or more) loudspeakers, and they still do! In the 1970s stereo became popular with 2 speaker HiFis, with one speaker to influence each ear. 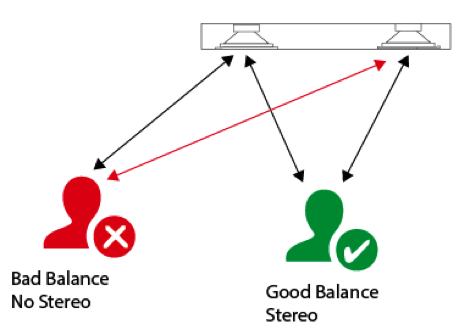 The listener should be positioned between the speakers in the ‘sweet spot’ in order to hear the ‘stereo effect’. There was (and still is) a large element of ‘the Emperor’s new clothes’ in these systems. Over time, sound systems became ‘better’ and smaller, with that ‘stereo effect’ being less and less effective until today when single box products are the most popular. Now, the ‘stereo effect’ is gone completely and scientists and engineers are trying mightily to adapt multi-speaker ideas to achieve ‘stereo’ without addressing the fundamental concept. The accepted teaching about ‘stereo’ is that we hear ‘stereo’ in real life because our ears hear slightly different sounds because they are placed either side of our head. The stereo image is heard because our brain can make use of the differences between what our ears hear. This all looks logical and understandable…. And to some extent it’s true. A speaker system works in stereo by making each speaker influence each ear. This should work well if the listener is placed in the ‘sweet spot’ – so that each speaker can be heard by one ear. When the listener is not in this ‘sweet spot’ then the stereo effect is lost, because each ear is not hearing the speakers equally. But this is not the fundamental fact about stereo; the real ‘elephant in the room’ concerns the way we perceive space and direction in sound. This is less to do with volume of sound hitting our ears and much more to do with the way sound is reflected within our surroundings. When listening to anything, our minds create a ‘sound picture’ in which all aspects of sound… volume, quality, direction and space make up the whole image. The information that tells us about space and direction is influenced to some extent by volume level, but it’s mainly made up of the timing of subtle reflections from the sound environment… we have learned to interpret these almost unnoticed sounds to give us the sound of reality. Speakers on the front convey the whole sound that both ears hear – so that the sound can be heard the same from everywhere in the room. Speakers on the sides produce the information that makes the listener’s ears respond differently to each other while at the same time the sound is modified by the listening environment. On it’s own, this sound would not make sense. This special ‘spatial’ sound mixes in the air with the main sound to create a solid stereo image, but without the limitations of a sweet spot. This is why we call this special process – airSOUND. These sounds combine in the air, to form a perfectly smooth and convincing stereo image that is totally different to, and superior to any traditional stereo system. airSOUND is not an effect, it does not alter the sound you hear – it is a new process that mimics real life much more closely than any other loudspeaker system. But that’s not all….. While the ‘image’ of the sound is very much more authentic and realistic, because the sound is being generated from a single point in the room, there are no confusing false timing clues that are always created when more than one loudspeaker source is working. And there’s more, because that main sound comes from a single point, the brain has less work to do in interpreting the audio content…. Particularly dialogue! 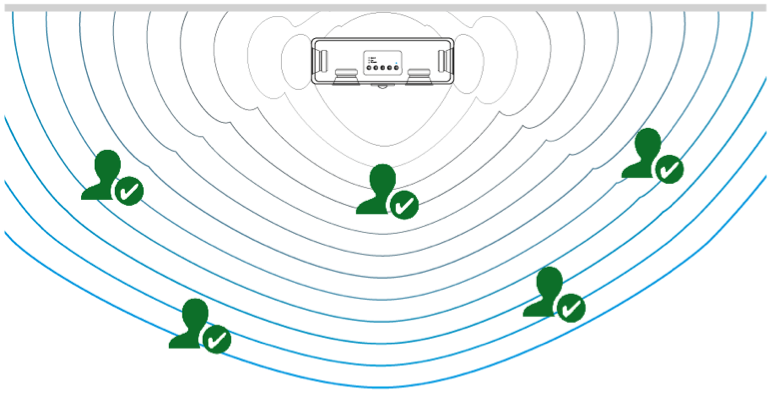 So sound from an airSOUND system is noticeably clearer and more intelligible. 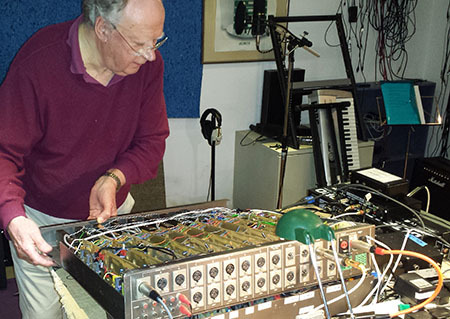 At The Sound House in Torquay a small group of engineers have been working on the airSOUND concept together with a number of audio innovations including predictable directional bass. New products are in prototype form and 2015 is the time to declare that the world is round….honestly!